Many’s the hour The Eddies have spent singing on the MV Covington and the adjacent Public Dock, on the banks of the Mississippi River as it flows through Saint Paul, Minnesota. We are The Eddies on the River. Since 1999. The Dubliner – Always fun! Annual Fundraising Event for Local Foodshelves Featuring The HiBs, Barra, The Eddies, Silent Auction, etc. All money rasied goes to the food group. Harold’s House Party on KFAI (106.7 or 90.3 FM) around 5:00. The Eddies live. Then to the 331 Club for 2 sets starting at 7:00 (13th and University Ave NE). Always fun! New Year’s Day! Harold’s House Party on KFAI (106.7 or 90.3 FM) around 5:00. The Eddies live. Then to the 331 Club for 2 sets starting at 7:00 (13th and University Ave NE). Always fun! February 28 – Jerabek’s New Bohemian Coffeehouse 7:00 or so on the West Side doncha know. May 24 – Mill City Farmer’s Market – 11:00 – 1:00 (always fun outside) On KBEM live at 10:30. Followed by The Eddies Live and Unamplified! June 20 – Friday in the later p.m.
9:00 – 11:45 “A great gig.” Seriously. Always Fun. 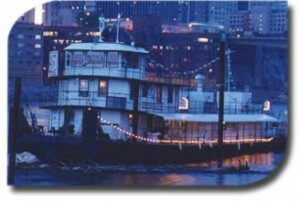 Thursday, July 10 – Riverboat Ride on the Mighty Mississippi with Minnesota Irish Fair. We donated our time (and some talent). We would do this again! Annual Fundraising Event for Local Foodshelves Featuring The HiBs, Barra, The Eddies, Silent Auction, etc. All money raised went to the Minnesota Emergency Foodshelf Network. This year we raised $3000! Yes, Paddy’s Day was Sunday, March 17. That was The Day of Dance at Landmark Center. The Eddies don’t dance as an ensemble. East end of Harriet Island. Food at 5:00 – Always fun except when we get busted. July 19 – Friday in the p.m.
July 20 – in the late a.m.
July 21 – in the p.m.
September 7 – Late morning, dontcha know. Yule Fest – Annual Fundraising Event for Local Foodshelves Featuring The HiBs, Barra, The Eddies, Silent Auction, etc. (836 Prior Avenue North, St. Paul). Admission is $15. All money raised goes to the Minnesota Emergency Foodshelf Network. We raised over $2500! Main Stage and Tea Rooms – Times TBA. Curtice is volunteering. Baker is Main Stage EMCEE. Saturday, April 28, 2012 from 8:00 – 11:00 – Always Fun. Private Party at the Top of Foshay Tower for Museum People. Cool event, but private and somewhat museum-esque. Saturday, June 2, 2012 – 9:00 – 11:45 “A great gig.” Seriously. Always Fun. Macalester College Reunion Performance (3 of The Eddies are Mac grads) Saturday, June 2, 2012 in the late afternoon – Probably Fun. 90% chance of fun. Saturday, June 2 – 8:00 – 11:00 – Always Fun. Did you notice that we had three gigs on June 2? Macalester College Neighborhood Picnic – Always fun and ice cream too! Dodge Nature Center – 7:00 – 8:30 Outdoors if we’re lucky. Friday, July 20, 2012 – Always Fun. Sunday, July 22 (Later afternoon) Always Fun. Saturday, July 28 12:00 – 1:00 Likely to be fun. Saturday, October 20 – 8:00 – 11:00 Always Fun. Saturday, November 10 – 8:00 – 11:00 Always Fun. Saturday, December 1 starting at 7:30 at the Hat Trick Lounge in Lowertown – Featuring Barra, The HiBs, and The Eddies – We raised over $550 for the Emergency Foodshelf Network. Baker is Mainstage MC all day long. Opening Day with Pancake Breakfast! Dodge Nature Center – evening concert in their outdoor amphitheater. Sunday, June 26 – Pizza By The Pond at Love Tree Farmstead. Also out of doors. This was very cool. Check out these photos. Groveland Park. That’s in St. Paul. Hat Trick Lounge – also featuring Patsy O’Brien, Barra, The HiBs. All proceeds to Mn Food Shelf. Friday at 5:00 and Saturday at 12:30. The Irish Fair does not charge admission! Saturday June 5 starting at 9:30. October 29 – Songs of Hope Fundraiser at Summit Brewery – public welcome! Friday, April 11, 2008 – always a fun gig! May 31, 2008 – Saturday – Paddy Keenan is the Main Act. Baker took 1st Place in the Musician Category of the “Best Legs in Kilts” competition at the Fair. The Eddies were featured (briefly) in the True Blue Minnesota Jumbotron and in a recent online movie connected to an article in the Christian Science Monitor. 8:00 – 10:30 – $10 with a portion going to local food shelves. Dodge Nature Center – Outdoor Amphitheater! June 30, 2007 – Saturday morning! Two Harbors Folk Festival See you there! 3:30 – 7:30 Potluck too! Fun Fundraiser and Silent Auction! Almanac, July 11, 2003 view the video.